Tusker’s founding guide Eddie Frank has returned from Kilimanjaro where he was on a quest to find a new climbing route up Mt Kilimanjaro. He found it and it’s more than he thought it could be. He’s called it the Tusker Spiral Route. By starting at a seldom used entry point on the Kenyan border, Eddie uses a combination of four established routes taking you on a near total circumnavigation of Kilimanjaro. This 13-day trip is longer than conventional routes, and is a true wilderness experience with spectacular panoramas of Kenya and Tanzania. Because of the duration and well-planned stays at certain elevations, it is superb for acclimatizing to the altitude, which is a huge appeal. Like many explorers who dream about their next adventure, Eddie saw this new route in his dreams and knew he had to realize it. The Barranco Wall is an 800 foot beast that separates the Karanga and Barranco Valleys. It is climbed midway through this route and technically it’s a rock scramble taking about two hours. You switchback along volcanic rock using your hands and boots for leverage. Ascending this giant staircase rewards you with unparalleled valley views from the top. The beauty of this route is its leisurely pace that allows full enjoyment of the varied terrain, views, fauna and flora. By approaching from the north, chances are better for drier weather if you choose to climb in the rainy season. The route hovers on the northern and western flanks at around 13,000 feet where few climbers camp. It’s a counter-clockwise route and also counter intuitive, but that’s why it’s enticing. 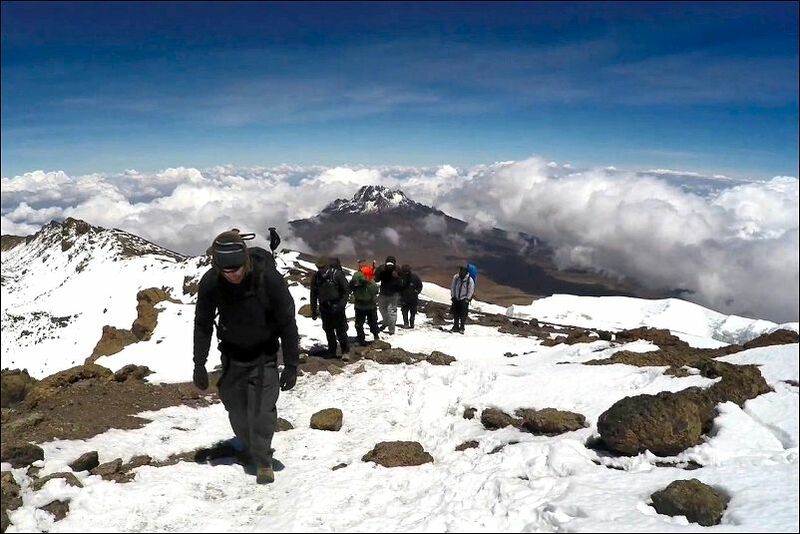 Instead of being summit-centric this route allows for in depth nature and geology study as well as ample time to adjust to altitude for the summit push from Barafu Camp at 15,000 feet. True adventure travel is about taking the untrodden trail discovering something new. 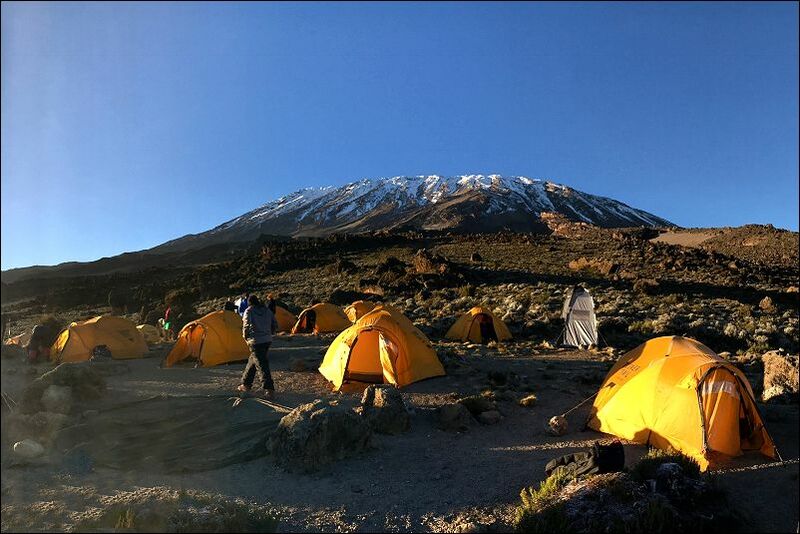 Even though Kilimanjaro has been climbed by hundreds of thousands on its seven established routes, Tusker has forged an eighth. This satisfies our sense of exploration, keeps us pushing our limits and fires our dreams. Eddie’s dream has come true, now he’s sharing it with you. Climb the newest and greatest Tusker Spiral Route now.